1) Document any potential witnesses of the incident or your injuries. 2) See your doctor and document and photograph any injuries. 3) Maintain notes of the effects of your injuries, also document any lost work, and changes in your lifestyle. 4) Maintain receipts of any expenses you incur due to the incident. 5) Don’t make any statements to anyone including any insurance company until you have discussed your case with an attorney. 6) Consult with an attorney about your case as soon as possible to determine your legal rights and options. Call Today to speak with an Orlando accident lawyer. 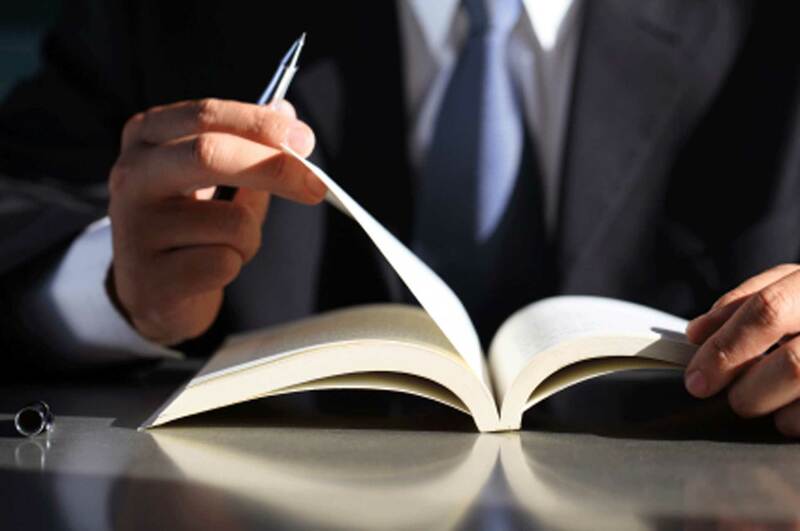 Why shouldn’t I make any statements to an insurance company before speaking with an attorney? Your statements are usually being recorded and most insurance companies are looking to pay the least amount possible on any claims. You may be asked questions in a manner that only protects their interests, and your injuries or difficulties may also change over time. You have a right to consult with an attorney before making any statements and should do so at your earliest convenience. Call Today to speak with an Orlando car accident lawyer and Orange County Florida injury attorney. 1) Driving without headlights at night; following to close to a vehicle; failing to stop at a stop sign; speeding; or driving recklessly. 2) Driving while intoxicated or under the influence of a drug or chemical. 3) Creating or failing to correct after warning a hazardous situation at a store or premises open to the public. 4) Not performing a medical procedure properly. 5) Not anticipating a problem that medical personnel should have during a procedure. 6) Failing to properly maintain a ride or provide warnings of dangers associated with ride. 7) Designing or manufacturing a defective product that causes injuries. 8) Failing to provide proper warnings or instructions on a product. 9) Not properly securing or warning of a dog known to bite. Can I sue someone if I’m not a Citizen? Yes, you do not need to be a United States Citizen to file an accident claim or personal injury case. Call Today to speak with an Orange County Florida personal injury attorney. What if someone deliberately causes physical harm to me? If someone commits a battery upon you or causes you physical harm, you likely have a cause of action against them and should document any injuries you received. In some of these cases, you may be able to recover damages from the Defendant, however, in other cases, the Defendant may not have any assets or insurance for you to recover damages from. If you have been physically harmed by another, you should consult with an attorney. Call Today to speak with an Orange County Florida personal injury attorney. What is a pain and suffering award? Usually this is money awarded over and above lost wages and medical expenses. Money awarded that is meant to punish the defendant. Call Today to speak with an Orlando accident lawyer and Orange County Florida personal injury attorney. How long will the case take and will I have to go to Trial? In many cases, the parties may make a reasonable settlement offer within a few months or even before a lawsuit is filed. However, where there is a dispute as to fault or the extent of the injury, it may take a considerable amount of time before a resolution is reached and in some cases a trial is necessary. Call Today to speak with an Orlando personal injury attorney. 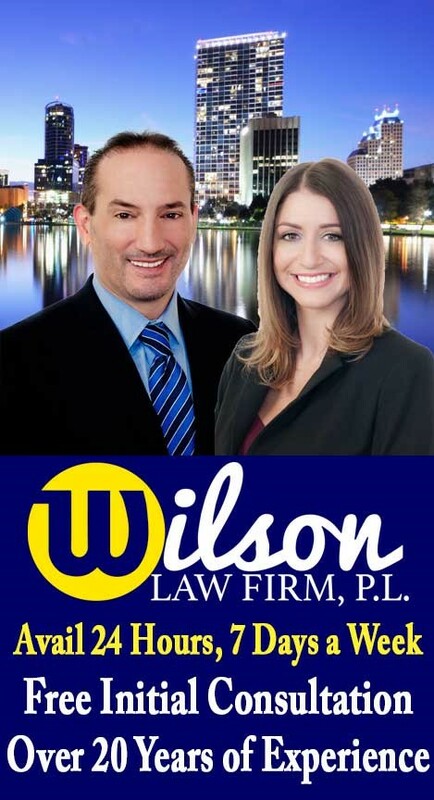 For more information, Call the Wilson Law Firm Today at (407) 648-5255 to speak with a Orlando accident attorney about your situation or to schedule a Free Initial Consultation. The Wilson Law Firm represents individuals in accident and personal injury cases in the Orlando and Central Florida area, including Brevard County, Lake County, Orange County, Osceola County, Seminole County, and Volusia County.